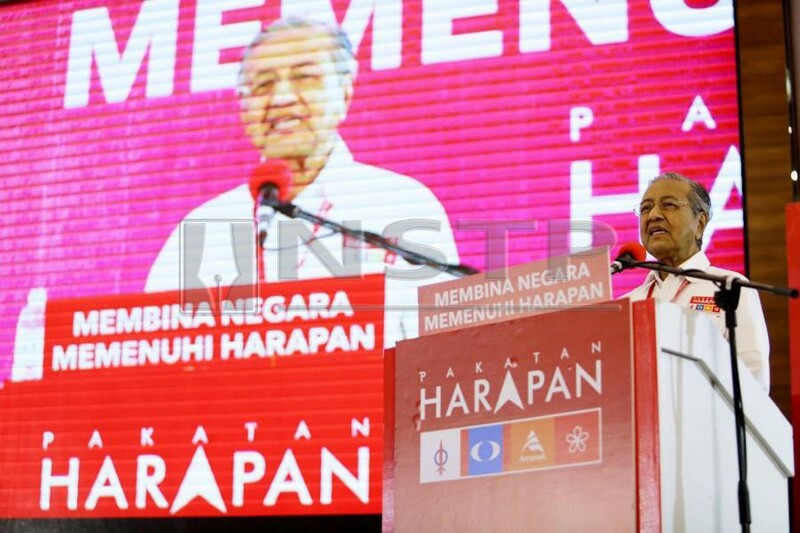 Prime Minister and Pakatan Harapan Chairman Tun Dr Mahathir Mohamad said last September that he was “not satisfied with the achievement and performance of [his] cabinet ministers”. - NSTP / ROSLIN MAT TAHIR. PAKATAN Harapan appears to be depending a lot on Tun Dr Mahathir Mohamad and a few of his ministers to instil the strength, sustainability, legitimacy and credibility in the current administration. Despite this, Dr Mahathir had, for some time, been the target of persistent intra and inter-party blame game as well as cloak-and-dagger politics practised by puppet masters of unknown origin. Some observers believe they are the work of Dr Mahathir’s opponents (out for revenge), their sympathisers and cyber mercenaries. Others suspect they might be crafted by certain groups within PH, aimed at creating an adverse perception of Dr Mahathir. Besides that, several ministers seem preoccupied with internal party bickering, intra-party and inter-party polemics, and controversies. These emerging trends were evidenced by some ministers’ media statements about their colleagues, their criticisms of PH’s policies, police reports and legal actions against them because of alleged defamation, innuendo, insinuation or slander. More absurdly, these were reflected in the statements of certain middle-ranking leaders on the functions and responsibilities of ministers, or against Dr Mahathir. All of these have disrupted PH’s working cooperation, resilience, comradeship and legitimacy. Lately, several middle-ranking leaders, who were unhappy about some Umno members joining Parti Pribumi Bersatu Malaysia (PPBM), had issued unilateral and open media statements to condemn the initiative. Voicing displeasure and making press statements on the matter is democratic; such acts, however, do not augur well for PH’s solidarity. It is equally democratic for Bersatu to make a unilateral decision on the above because the objective is to enable PH a comfortable majority in the Dewan Rakyat. This is pertinent to enable PH to make several constitutional amendments and execute numerous reforms as stated in its election manifesto. It is also a strategic approach to enable the newcomers in Bersatu to support the constitutional amendments on behalf of their constituents who are mostly rural Malays. As such, it is inappropriate for Bersatu critics and supporters to condemn the move and claim it was “completely wrong” and perceived as “a sheer betrayal of the rakyat’s decision”. It has also been alleged by certain Pas leaders that some PH leaders opposed the entry of Umno members into Bersatu because they were “concerned over losing their influence” in PH. They were also worried because it “would strengthen Bersatu’s position in the PH government”. These are the ironies and paradoxes of politics and freedom of expression in the new Malaysia which most Malaysians did not expect under the PH government. They happened because of stereotyped habits and the opposition mentality of some PH leaders. Indeed, old habits die hard, but if several PH leaders, ministers and their aides find it difficult to embark on a new paradigm shift, then it is their ill-fated destiny if PH loses in the 15th general election. Dr Mahathir is aware of all these and had expressed his displeasure on several occasions. He said last September that he was “not satisfied with the achievement and performance of [his] cabinet ministers”. Nevertheless, it is noted that some ministers and their deputies are fast learners in absorbing certain elements of Dr Mahathir’s leadership image and strategic culture. They had initiated several reforms, innovations and transformations solely to enhance the legitimacy of the PH government. Despite all that, what should PH do to effectively resolve them, how should it do it, who should do it and when is the best time to have it done? Dr Mahathir cannot be doing it alone. There are many approaches on how to resolve these issues. The problem is whether the PH component leaders have the political will to do so and if they are fully committed to PH’s common struggle for new Malaysia. Among others, these blame game and cloak-and-dagger politics can be resolved through constant reminders on the fundamentals of government management towards making the new Malaysia a politically stable and economically prosperous nation.